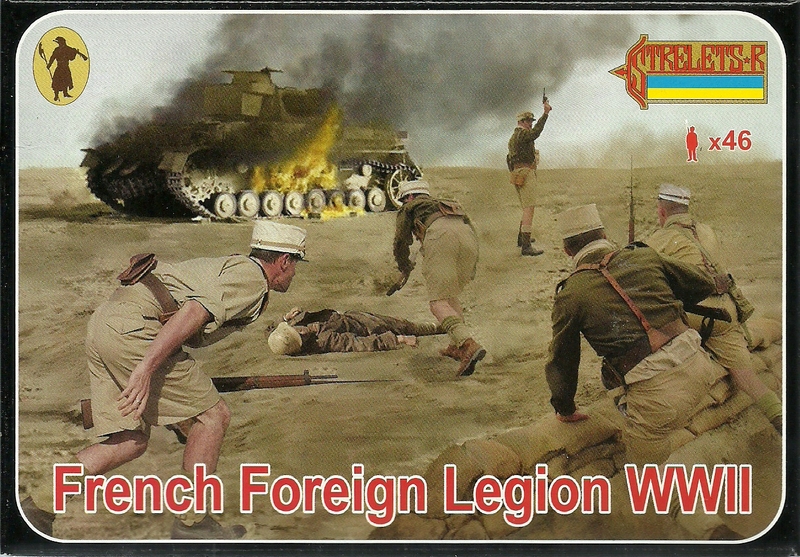 The kit includes 43 figures moulded in cream plastic in 18 poses (13 poses with 3 figures and 4 poses with 1) and captures perfectly a fine collection of WWII French Foreign Legion. The set includes seven riflemen poses including standing, advancing, runningm firing and thrusting a bayonet. There is a man standing throwing a grenade and another standing firing a Thompson sub machine gun. There are two FM24/29 light machine gunners and a Hotchkiss M1914 heavy machine gun with a two man crew.